Bonus Info: FREE $1,200 Bonus - 18+. T&C's Apply. 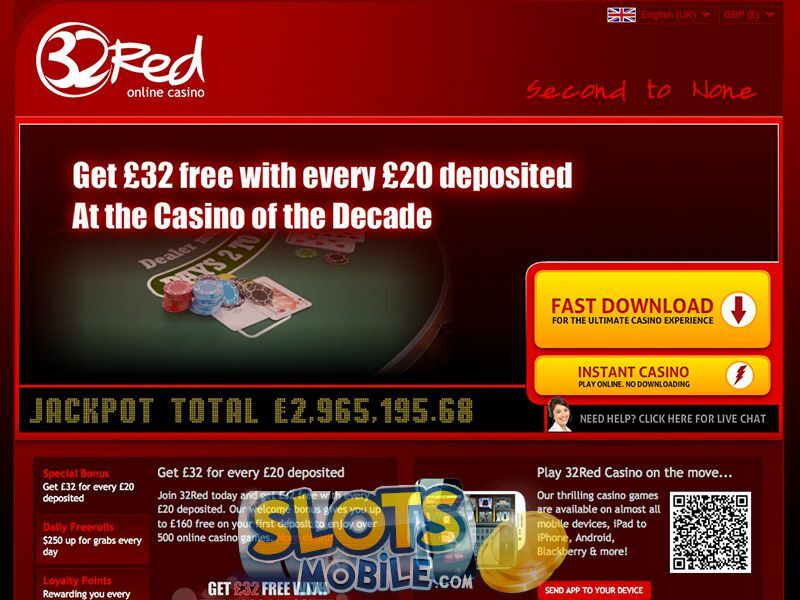 The mobile casino offers a protected experience which offers a variety of deposit and withdrawal options, which are all secured by the latest security software. The casino also strives to regulate all activity on the site and is currently eCogra approved. 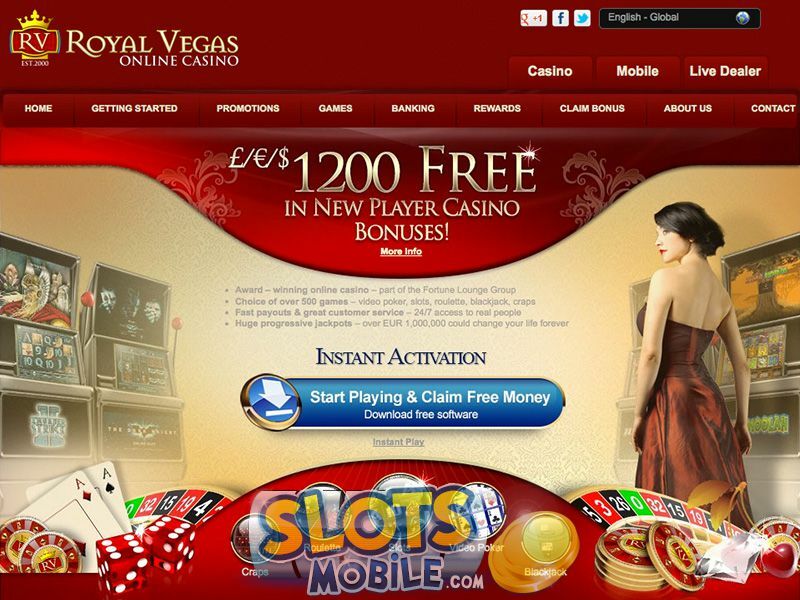 Royal Vegas is at the forefront of mobile casino gaming. Simply download the mobile casino onto your mobile device and sign-up in order to start playing and winning. All of Royal Vegas Mobile casino games are developed by Microgaming and offer players a selection of some of the most entertaining titles including popular video slots such as Thunderstruck, Tomb Raider, Royal Derby, Bingo Bonanza, Dragon's Fortune and Mermaids Millions. Table top games are also available to play such as baccarat, poker and craps while a range of life-changing progressive jackpots can also be picked from. 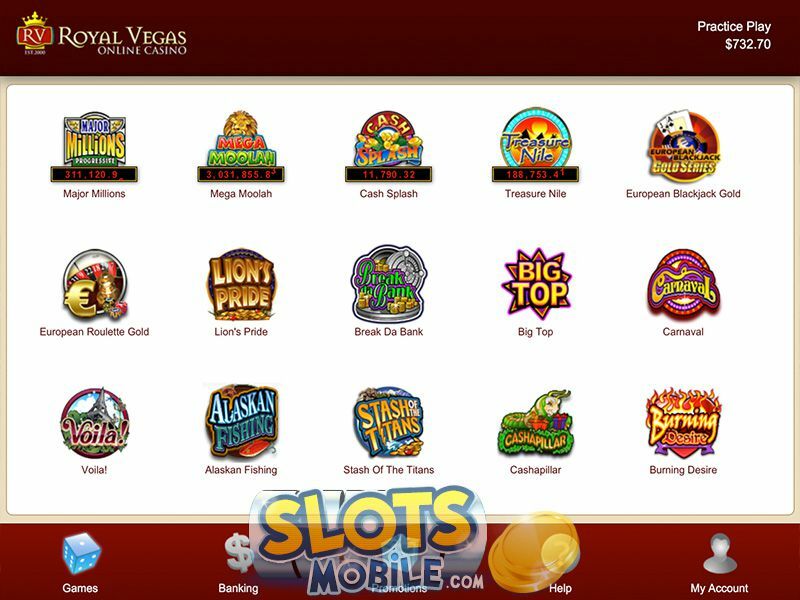 Royal Vegas mobile casino can be accessed on Blackberry, Android or Apple tablets. Smartphones which can access the site include Android, Blackberry or Apple devices, while Java-based or Symbian phones such as Nokia, Sony Ericsson or Motorola will all be able to run the site smoothly. In line with the customer service level which has bought a lot of respect for Royal Vegas Online Casino, the Mobile casino offers a similar level of dedicated service from its 24 hour a day support team which can be contacted via a variety of means.